I don’t believe that this photo would be nearly as evocative if it were in color. September 1941. 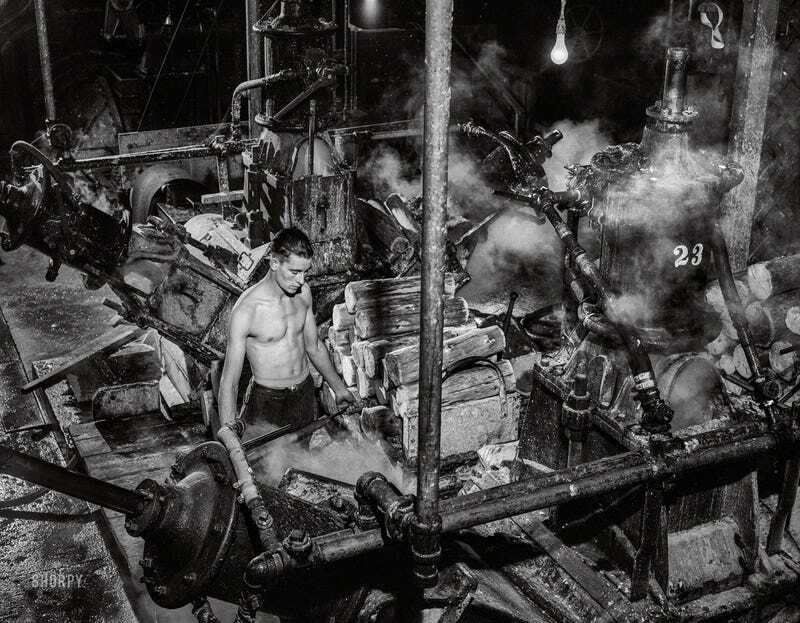 “One of the machines that grind wood into pulp at the Mississquoi Corporation paper mill at Sheldon Springs, Vermont.” Medium format negative by Jack Delano for the Farm Security Administration.